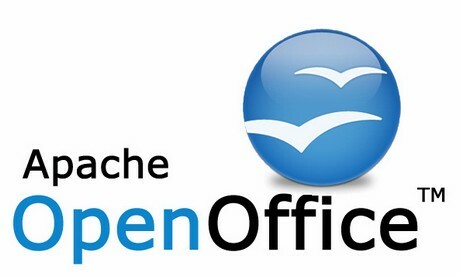 Apache OpenOffice is an open office suite that is made available online for free. Its latest version, which was put out in late 2013, has been received with glowing reviews. Although it is not quite up to the standards of a commercial office suite such as Microsoft Office, it is more than acceptable for a free software program. Let’s take a look at some of its key features. Apache OpenOffice comes with an outstanding word processor application. It has many of the same bells and whistles as its high priced competitors. It is a perfect tool for doing ordinary writing tasks, blogging, or any other word processing task. It has an easy to use interface that makes it very easy to navigate around this application tool. Most everyone has a need for some kind of spreadsheet application and Apache OpenOffice comes with a good one. A spreadsheet is a tool that comes in handy for organizing, analyzing and storing data. It is a handy tool for accountants and others who need to input and analyze all sorts of data. The spreadsheets can be custom designed by the business or user to meet their needs that they require them for. Apache OpenOffice’s presentation tool is very similar in function to that of Microsoft Power Point. It is useful in doing such things as creating slide shows and other visual presentations for both business and personal use. It can do such things as make a banner for a birthday party or help design a business logo. This feature does a nice job of editing and organizing all photo related tasks. Graphics and charts are easy to create when using Apache OpenOffice. It is easy to input the necessary data into the program and then organize it into its final graphic form. It’s an excellent feature to help with small business presentations and other business related tasks. The program has a lot of ways to store a persons or businesses useful data. A person can input useful business and personal data and then use it along with the other Apache OpenOffice features to create sales pitches, balance a checkbook, or any number of other tasks. When it comes to free office suites that are available, you will not find a better one online than Apache OpenOffice. It is a powerful tool that will help you get your home or office writing and other related tasks done quickly and efficiently.